Where? White Gate Farm — a commercial, organic and agri-tourism farm in East Lyme, CT.
It’s the morning after the mid-term elections and two weeks before Thanksgiving. While I write from my home in London, I am thankful for and celebrate the small victories occurring in my birth country. Analysts predict another two years of partisan gridlock and yet I can not help but feel hopeful about the details in the results which reveal so much power in the female and youth-led resistance. With the right stoking, small victories can turn into bigger flames. One Fabster who embodies this message fully is organic farmer Pauline Lord of White Gate Farm in East Lyme, CT — my home state. After graduating with a BA in psychology from Stanford University and an MA from Santa Clara University in Marriage and Family Therapy, Pauline licensed as a therapist, counselling people who were either dying or in bereavement, families and couples, and eventually developing a specialty in eating disorders. 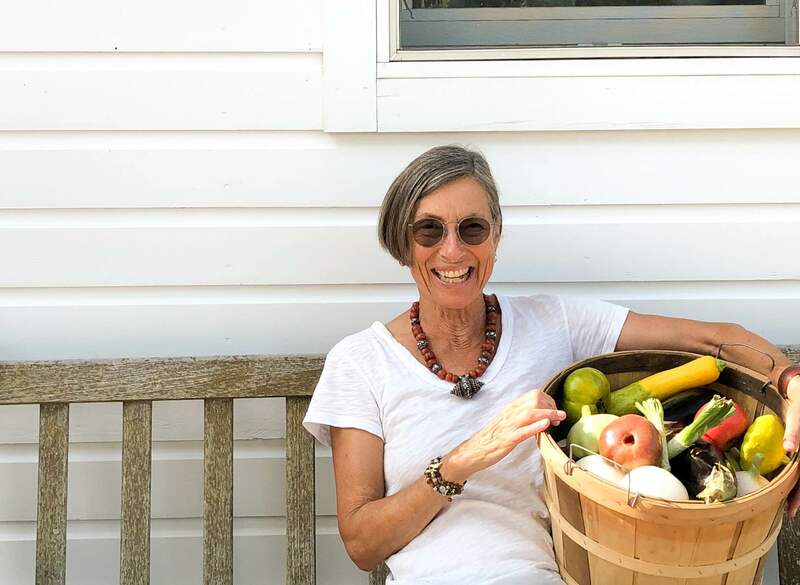 When her husband, David, retired early from the US Geological Service, they decided their next big thing was to turn her mother’s 100 acre Connecticut farm into a commercial organic operation. Taking her cue from Burmese Buddhist nun Rina Sircar on the topic of “How to Be Happy”, Pauline identified her greatest evil and took her stand against it through the farm. “Rina showed me this path to meaningful work, which is the only way to find real happiness,” Pauline says. 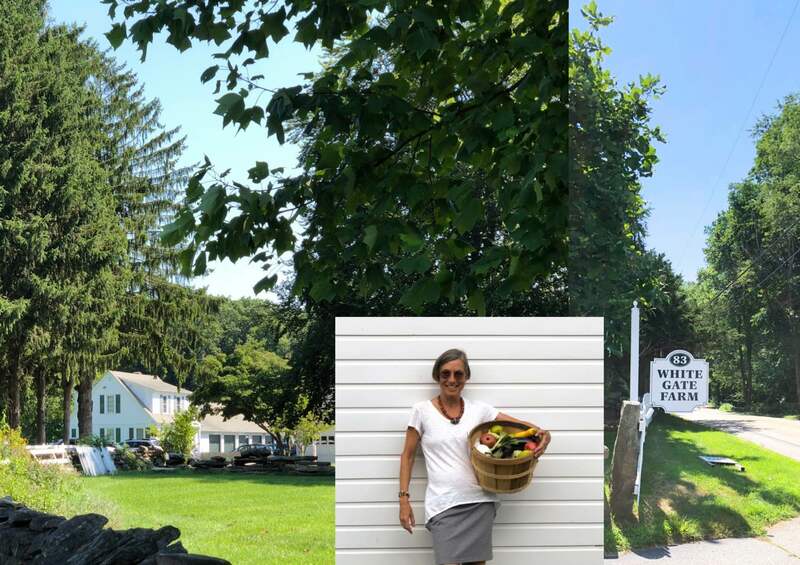 From small CSA in 2000 to a thriving agri-tourist business in a mere eighteen years, White Gate Farm has become a beloved mainstay of the community. 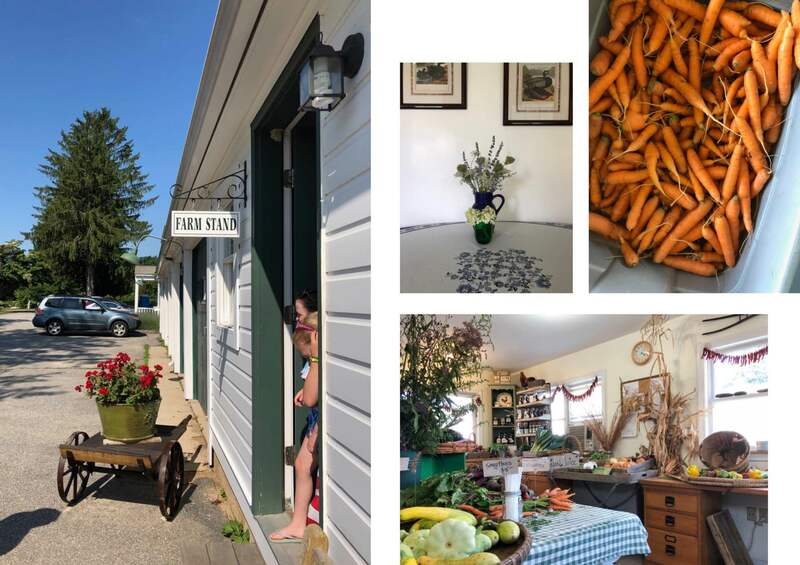 The renowned Farm Stand has its devotees who come religiously every Wednesday and Saturday to fill their bags with organic, seasonal produce, fresh eggs and chickens. 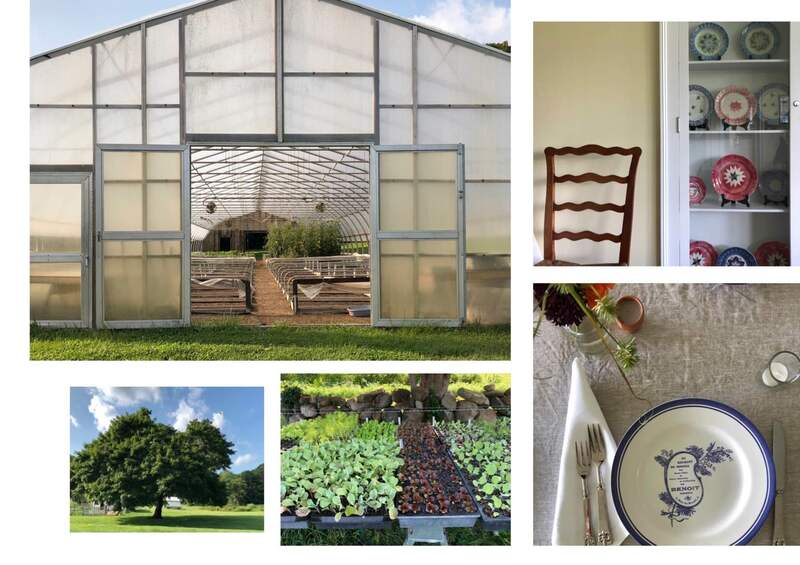 In 2014, Pauline converted one wing of the farm house into a commercial kitchen and employed 3 chefs who prepare foods and baked goods for the Farm Stand and offer cooking lessons. The on-site baker makes fresh bread, scones and pizzas in the Bread Shed where there’s a wood fired oven. Visit in the summer and you might just happen onto a farm-to-table dinner. Recently the farmhouse has been converted into an inn and with the transformation of a barn structure into a large yoga studio, White Gate Farm now hosts retreats as well. The meals, naturally, are all prepared with produce from the farm. In our recent interview with Pauline, we toured the farm with her as well and took inspiration from how her small victory against her evil became White Gate Farm. Fabulous Fabsters: Please tell us how your previous work as a therapist and conservationist in San Francisco feed into your work and philosophy behind White Gate Farm. Pauline Lord: It’s a full circle way of looking at life which is about encouraging people to love eating by actually nourishing themselves and engaging in healthy activities like meditation, yoga and hiking. By growing organic vegetables, we produce nutrient-complete food and protect the soil at the same time. And the bottom line is that an agri-tourist farm in good health — last year our small acreage produced 17.5 tons of vegetables as well as 300 poultry and countless eggs — protects the land from development. FF: After listening to Burmese Buddhist nun Rina Sircar, what did you identify as your greatest evil? PL: My first evil was my dysfunctional family’s abandonment of my baby sister who then died. Related evils include loneliness and the alienation that is endemic in our society, the Standard American Diet (SAD) that is making people ill and killing them and finally the loss of open space and farm land. FF: And how does the farm help you combat these evils? 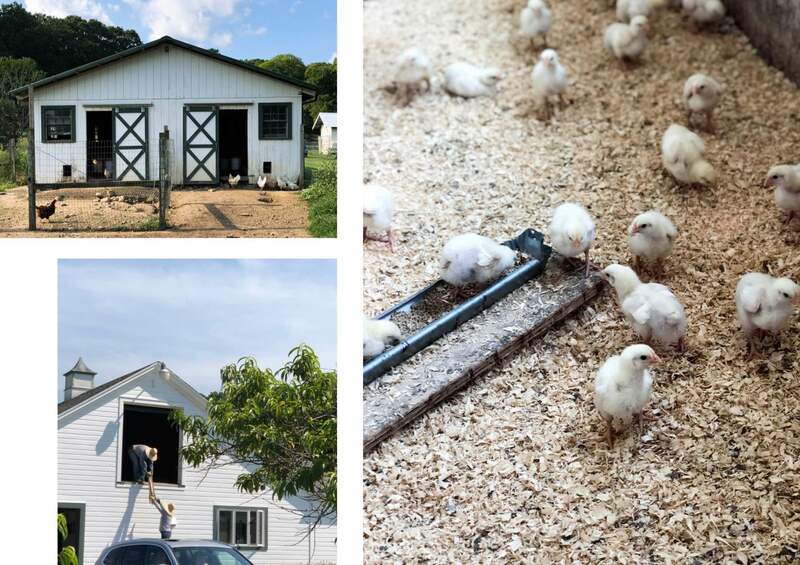 PL: At White Gate Farm, we have created a community — six of our employees actually live on the farm with us — that cares about each other, the food they eat and the land of the farm. We have customers who have been with us for twenty years as well as lots of new ones all the time. We encourage people to explore the farm, visit the animals and have a picnic. We also offer tours for people of all ages to learn more about our growing methods and to do fun things like collect eggs. FF: What are some of your favourite things about White Gate Farm? PL: Too numerous to count, but my top favourite thing is walking the land and rediscovering its nooks and crannies where I want to further improve it. At the moment, I am excited about starting bulbs of amaryllis, paper whites, hyacinths and narcissi to create beautiful containers to sell for Christmas at the Farm Stand. FF: Has the farm developed the way you expected? PL: Given we knew almost zero about farming and made rafts of mistakes, the farm has exceeded my expectations! FF: What were some of your difficult moments? PL: Challenges in most businesses are about the people. There’s often too much drama with too little focus on the job at hand. Twelve years ago, we hired a Mexican couple and brought them here through the H2A “guest worker” program. Best thing we ever did. They have become part of the extended family and live on the farm with us. PL: To turn the farm into a mecca of agri-tourism. PL: Be comfortable. Have a pocket for the cell phone. Dress in layers. PL: Brown rice, dried and canned beans, polenta, pasta, artichoke hearts, canned sauce and tomatoes, capers, lemons, garlic, olives, good olive oil and home made vinaigrette. FF: How do you stay well in body and mind? PL: Lots of cardio exercise, weight lifting, yoga and meditation. PL: Don’t worry — all shall be well. A Fabulous Fabster thank you to Pauline Lord!